Fitted 33" x 75" x 12"
Standard Pillowcase 21" x 32"
Fitted 39" x 75" x 12"
Fitted 54" x 75" x 14"
King Pillowcase 21" x 42"
Fitted 78" x 84" x 15"
Review: "These sheets are absolutely wonderful. I purchased three sets when they were on sale and they are well worth the expense. I now only sleep in these sheets." Review: "I got the "celedon" color. It is great. 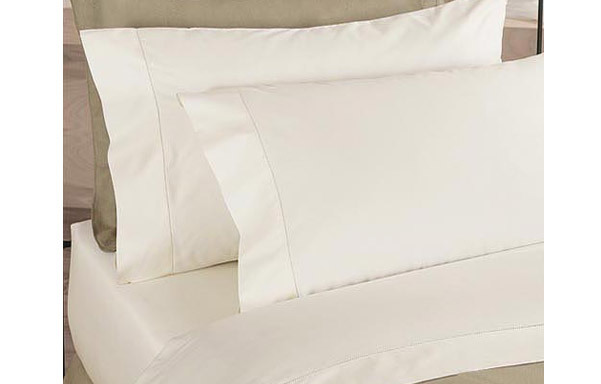 The quality of the sheets was perfect -smooth and comfortable. The size was "big" so easy to get on the bed - both the fitted and flat. I would purchase again when I need sheets." Review: "I have told all my friends and family about your 400 thread count sheets. I was skeptical about the quality when I placed a phone order but all my sheet needs will come from you guys in the future. I now know for sure what i suspected all along. Department store sheet sales are a big scam. 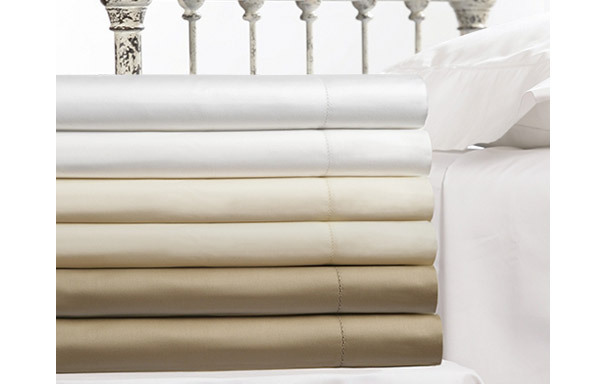 The quality of your sheets is amazing and the price was even more amazing. I will definitely be a repeat customer." Review: "I love the appearance of a well dressed bed. What better way to enhance my Charles Rogers bed than with a set of the 400 ct. Prima Cotton Sheets! 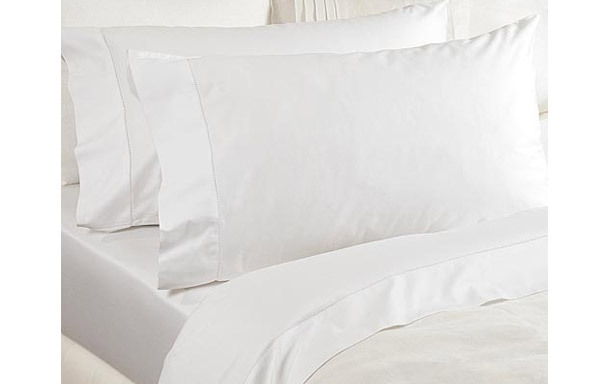 The touch of these sheets is silky soft and a wonderful way to wrap yourself up for a restful sleep. This is my second set and they wear exceptionally well, looking great wash after wash. The palette chosen for this product is delicate, soft, and soothing--just the way a restful room should look." 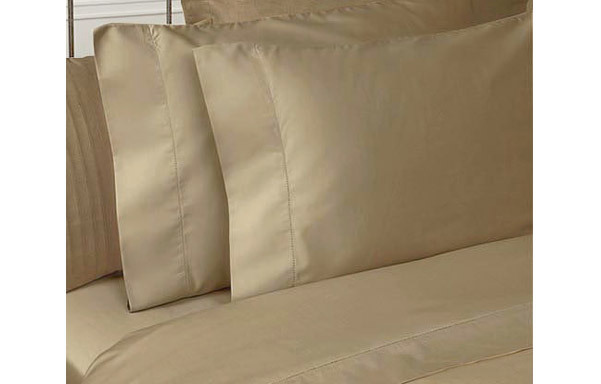 Review: "I liked the sheet set so much that I sent a set to my sister who also loves them. The feel is luxurious. I do iron the top sheet where one's head is and the pillow cases." Review: "I have three sets of these sheets and love them. I live around the corner and just stopped in and was very pleased to find such a good deal on a full sheet set. The first set I bought has been washed a number of times and still retains its quality, so I bought two more sets." Review: "We love these sheets ... so much so that I ordered another set and this summer will do the same ... they are heavenly - better than flannel and yet so very cool. Thanks for such a luxurious product ... LHL"
Review: "Perfect. Comfortable and have worn well over many months." Review: "Amazing sheets. Excellent quality - soft and breathable, and they hold their color well. All around great value!" Review: "I love these sheets. They are so beautiful. I run a vacation rental and want luxurious sheets for my guests. These are so soft, yet substantial. They scream elegance. I have four sets of them, plus Duvets. Beautiful. Love them. And they fit my mattresses and don't fall off. They wash well and don't wrinkle much. I think the price is so right. What a deal!" Review: "These are beautiful, luxurious sheets and they fit my new tall mattress and box spring set very well. They're a pleasure to sleep on." Review: "This is the 5th set of Pima 400 thread count sheets that I have bought. Three sets were gifts after I had purchased a set for myself. My original set is still in great shape and only gets softer with each wash. I generally hang my sheets outside to dry and the cotton smells wonderful after a day in the sunshine. Highly recommend these classy and durable sheets. The plus is their great price." Review: "Our whole family loves these sheets and it's all we buy. They last a long time, fit large mattresses, and look and feel good. Excellent quality for the price." Review: "This set is very well constructed and fit the Charles P. Rogers mattress perfectly. A really restless night has loosened the fitted sheet once, but otherwise they stay put! The cotton is not as soft as other materials but still make for a perfectly wonderful nights sleep." Review: "Sheets as described. Washed and dried well."